—Jussie Smollett tells Chicago police he was physically attacked by two men in downtown Chicago while out getting food from a Subway restaurant at 2 a.m. The black and openly gay actor tells authorities the men used racial and homophobic slurs, wrapped a rope around his neck and poured an “unknown substance” on him. Police say Smollett told detectives that the attackers yelled he was in “MAGA country,” an apparent reference to President Donald Trump’s “Make America Great Again” campaign slogan that some critics of Trump have decried as racist and discriminatory. —Chicago police say they’ve reviewed hundreds of hours of surveillance camera footage, including of Smollett walking downtown, but none of the videos show the attack. Police obtain and release images of two people they would like to question. —Reports of Smollett’s attack draw outrage and support on social media, including from U.S. Sen. Kamala Harris of California, U.S. Rep. Bobby Rush of Chicago and TV talk show host Ellen DeGeneres. —Smollett’s family issues a statement calling the attack a racial and homophobic hate crime. Smollett’s family says he “has told the police everything” and “his story has never changed,” disputing assertions leveled on social media that he has been less than cooperative and changed his story. —Smollett gives a concert in West Hollywood, California , opening with an emotional speech, saying he had to play the show because he couldn’t let his attackers win. — Chicago police pick up two Nigerian brothers at Chicago’s O’Hare Airport on their return from Nigeria after police learned at least one worked on “Empire.” They questioned them and searched their apartment. — Chicago detectives say the two are the “persons of interest” from surveillance video. — Chicago police say reports that the attack against Smollett was a hoax are unconfirmed . 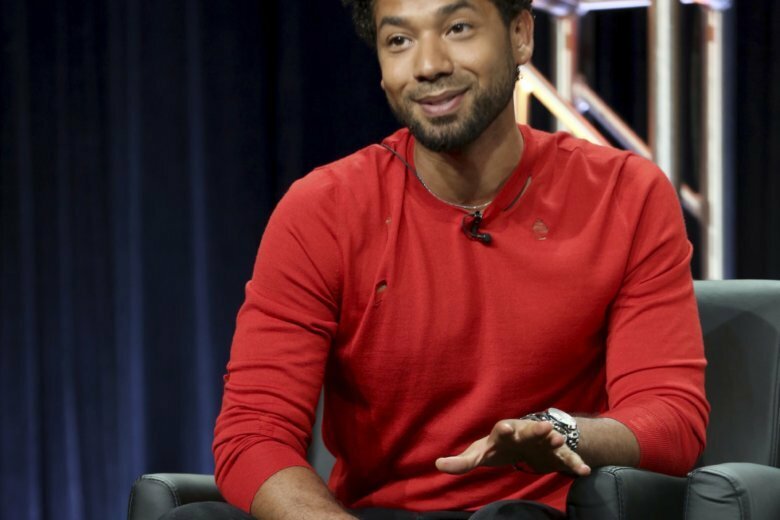 — Producers of “Empire” dispute media reports that Smollett’s character was being written off the show. — Chicago police say the two men are considered suspects. — Chicago police release the two Nigerian brothers without charges, saying they have new evidence to check out as a result of questioning them. They give no details of the new evidence. — Chicago police say the investigation has “shifted” after their interrogation of the brothers and they want to speak to Smollett again.